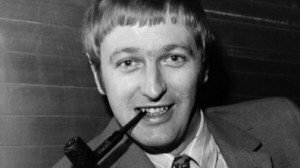 Graham Chapman exists as one of the greatest comedic talents that the world has ever seen, and we’re kind of proud that he’s British. Climbing to fame with Monty Python, he quickly situated himself as quick-witted and far cleverer than some of the sillier jokes that the sketch troupe put together. He was also a troubled man. Openly gay, in a time when the world was far less tolerant, and struggling with alcoholism, his friends described him as a man “constantly trying to find himself”. He was introspective and melancholy in the public eye and sadly passed away in 1989, taking a bit more laughter out of the world. Before his death, he recorded more than two hours worth of an exaggerated autobiography, which forms the base of the new animated feature that tells the story of his bittersweet life. Chapman narrates the film from beyond the grave, with the surviving Python’s (bar Eric Idle) providing their voices to the film. A wholly collaborative work, it was directed by three men (including Terry Jones’ son Bill) and features animation from 14 different studios and is a wonderful display of almost every type of animation out there at the moment. Premiered at the BFI London Film Festival, with an Gala sponsored by Pythons Michael Palin and Terry Jones and Empire magazine, it proved a touching but funny almost-biopic. The film will be widely released on January 25th 2013.